Tomorrow morning, bright and early, we’ll be hitting the road and heading for Kendal in the Lake District. 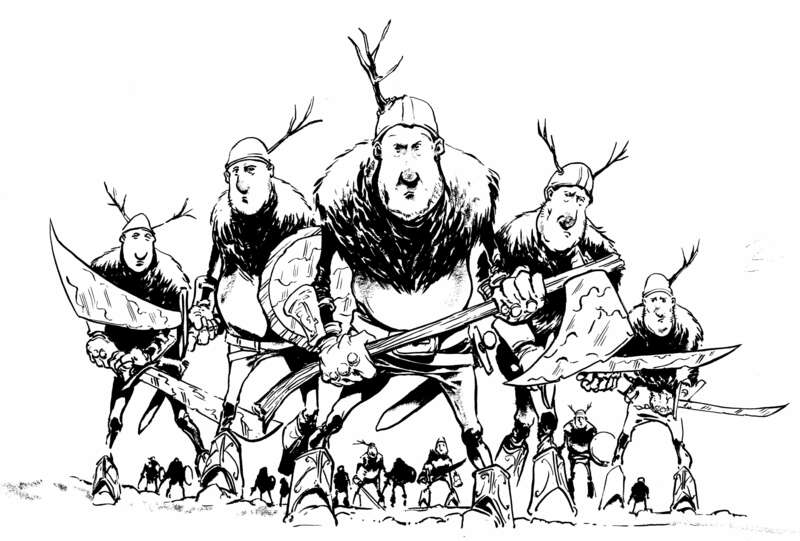 The reason: the Lakes International Comic Art Fair! This will be our third trip to Kendal and it’s a genuine highlight of the convention calendar. Firstly, comics really do take over the town. 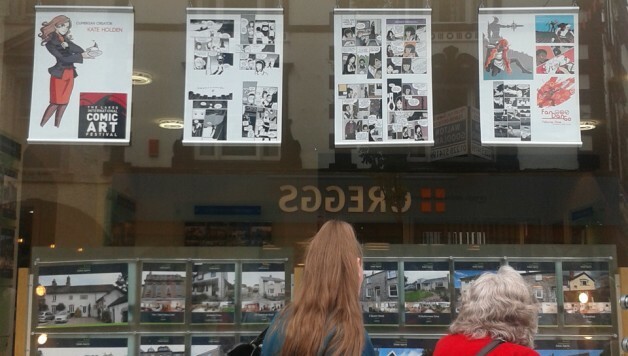 Shop windows are themed, hotel receptionists don superhero garb, the Brewery Arts Centre covers its walls with amazing original comic art and – most importantly – Ruskin’s Bar gets its comic theme on. We had a Viz Bar a couple of years ago, and the Bat Cave last year. This year, it appears the place’ll be dead. Secondly, comics are taken seriously. Now, don’t get me wrong, the Lakes Con is a lot of FUN. But it also uses its panel programme to talk about comics in a smart and edifying way and not just as an opportunity for people to puff their latest spin-off or movie tie-in. You’ll see what I mean here. It’s a long way to go but we always get a great welcome. We’re hoping to give something back this year, with the launch of our new book Secret Gardens. 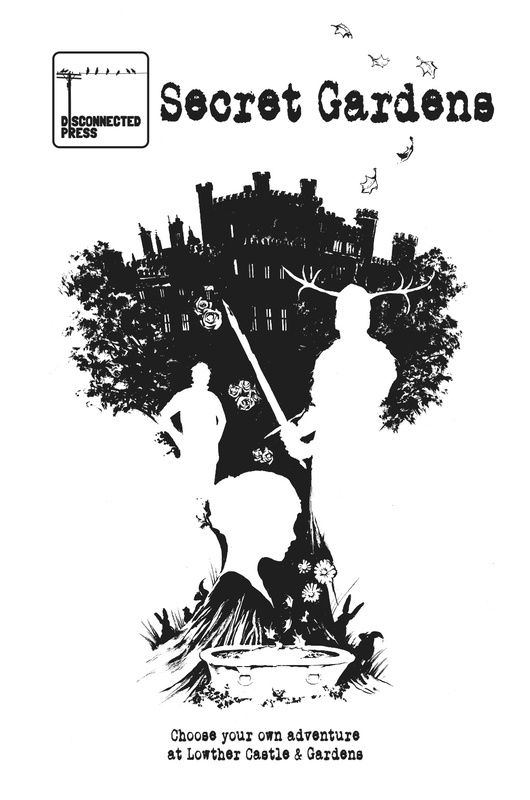 In case you haven’t read all about it, a reminder: four stories in one book, Secret Gardens is a choose your own adventure, set in the grounds of the Lakes’ own Lowther Castle. We’ll see you in Kendal!! Our new book Secret Gardens launches at the Lakes International Comic Art Fair this weekend. 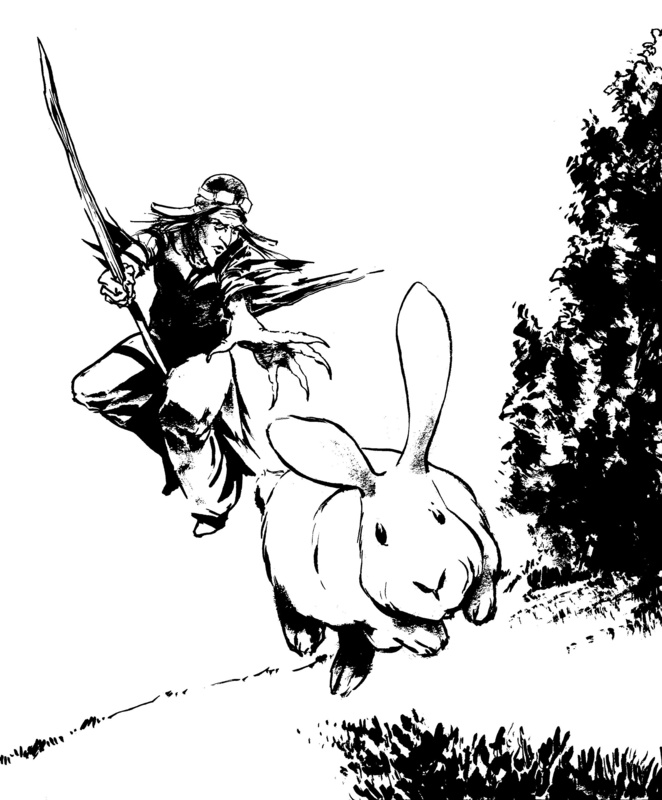 It’s part-comic, part-illustrated story book, for all ages, and it’s a choose-your-own-adventure. The idea to produce a choose-your-own-adventure came when we met with Anna Saczek at Lowther Castle, the setting for Secret Gardens. She was keen that we explore the landscape of Lowther, looking at the amazing gardens through different lenses and finding new histories and mysteries there. We were also inspired by Knight and Dragon, published by Improper Books, a comic book choose-your-own-adventure which reminded us of how much we used to love reading them when we were younger. Secret Gardens: coming soon from Disconnected Press! We’re delighted that we’ll be launching our new book Secret Gardens at the Lakes International Comic Art Festival (Kendal, 16-18 October). Secret Gardens is a choose-your-own-adventure book, blending comics, illustrations and you being in control of your own destiny! 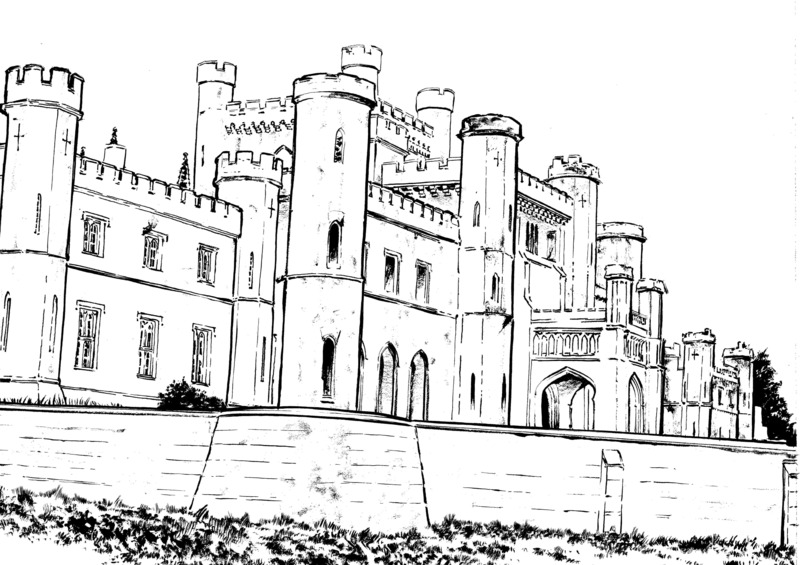 Handily for those coming to the Lakes Festival, Lowther Castle is just up the M6 from Kendal, close to Penrith. It’s a beautiful place, and a long-term favourite of Disconnected’s. History, atmosphere, incredible landscapes and some things that – so far – only we have seen…. There are four adventures in one, all set in the magical landscape of Lowther Castle in the Lake District. If you’re already hooked, you can pre-order a copy of Secret Gardens for just £5 plus P&P by emailing hello@disconnectedpress.co.uk. 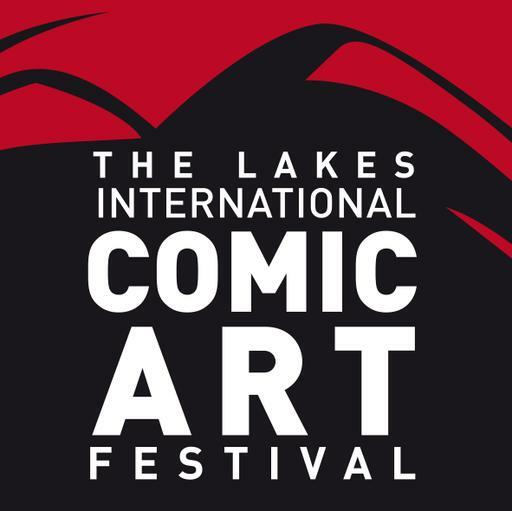 We’ll have more details about availability in the next couple of weeks, but we’ll definitely be in the Comics Clock Tower at the Lakes International Comic Art Festival on 16-18 October!